By SIPCATS Research Assistant Azize Güneş. During the 20th century songs originally produced and performed in languages such as French, English, Italian, Spanish and Greek were imported to Turkey and given Turkish lyrics, before being distributed to the Turkish public through 45-rpm records, radio, television and concerts. This is a particular case of cultural transfer known as the ‘aranjman’ genre in Turkey, in which foreign (mostly Western) songs were remade to be sung in Turkish with the aim of making them accessible and meaningful to a Turkish audience. The linguistic meanings in the original song lyrics were either kept to varying degrees or completely replaced in the new Turkish lyrics, while musical aspects such as melody and rhythm remained more or less the same as in the original songs. Among the most prevalent songs transferred to Turkey during the 20th century were songs originally sung in French. According to the empirical study I conducted for the purpose of investigating this particular case of cultural transfer, 160 Turkish songs produced and distributed in Turkey during the 20th century are remakes of songs originally produced and performed in French. From the first Turkish remake of a French song in 1961 to the last in 1991, during a period of three decades French songs were imported, transformed to have Turkish lyrics and distributed to the Turkish public. The most intensive period of production of Turkish remakes of French songs occurred between 1967 and 1977, with a considerable peak in production in 1968-1969. Different choices were made in the transformation of these songs, attempting to either communicate the same meanings as in the original French songs or create new meanings for the Turkish listener. Out of 52 Turkish remakes of French songs distributed in Turkey in 1968-1969, 13 (25 %) account for the linguistic meanings in their French source texts and can be regarded as song translations or adaptations. The Turkish song remakes range from very close translations to approximate translations, adaptations and loose adaptations, in some cases to an extent of almost becoming completely different songs, at the same time as they display observable correspondences between the Turkish and French song texts. Even though most songs transferred from French to Turkish culture in 1968-1969 were not translated but rather supplied with new lyrics, the unchanged melody and rhythm meant that other kinds of meaning, such as emotional meanings were transferred to the receiver culture, creating shared points in the repertoires of the Turkish and French cultures. According to cognitive psychologists Swaminathan & Schellenberg (2015:190) “[e]nculturation to a particular culture’s music is a developmental process in which associations and regularities are internalized, at least implicitly, through repeated exposure.” By distributing new music in a culture and ensuring repeated exposure through mass communication devices, foreign music is made familiar and internalized by listeners. Cultural transfer of music will hence have the function of making a community more susceptible to ideas, experiences, perceptions, emotions and ways of feeling of the sender culture. Song is a multimodal cultural artefact communicating stories, states and feelings to its listener. It has the potential to offer options for understanding, acting in and narrating social life and the self. Songs within the pop music genre in particular, have the ability to reach large quantities of people and can be invested with personal references by the individual listener at the same time as they are being shared within a community of listeners, which in turn will influence the perception of a common culture and a common cultural history. Pop music can be differentiated from other cultural artefacts, not only by the physical and conceptual material it is made up of, but also by the manner of engaging with it. The listener is repeatedly exposed to parts and wholes of songs in different situations – at concerts, in bars, cafés, on the street, at home, on TV, in commercials, in films, etc. The repetitive manner of listening, often memorizing parts of the lyrics and melody, and the physical participation in singing or dancing with the music, differs from, say, the way one engages with a book or a film. Pop music is an integrated part of all industrialized cultures and therefore merits close attention in the study of meanings circulating in culture. With a strong emphasis on empirical integration, the transdisciplinary research field of Cognitive Semiotics sets out to investigate meaning-making procedures in humans at different levels, from evolutionary to contemporary social phenomena, by combining concepts and methods from linguistics, cognitive sciences, semiotics and phenomenology. From a cognitive semiotic perspective, one can say that meaning-making in pop music depends on the semiotic resources available in pop music and on the mind’s capacity to perceive these semiotic resources, interact with them and share knowledge about them in various social contexts. It is important to add to this perspective that the successful communication of meaningful artefacts to and between human beings and cultures furthermore depends on factors relating to economy and politics. Besides the semiotic structure of the song and the cognitive capacities of the listener, a long line of producers (such as record companies, editors and singers), as well as retailers, and institutions such as radio and television and concert halls enabling and promoting availability of the song in public and its storage for the future, are all interdependent participants in the creation and distribution of meanings through pop music. In a song, the semiotic resources language, music and voice are grouped together communicating referential and emotional meanings to the listener. Language can communicate specific and general ideas and events, while music and the voice of the singer have the potential to evoke an embodied response in the listener, generating recognition and empathy. Groupings and regroupings of language, music and voice in pop music further serve to strengthen associations of expressions such as words and melodies, with a variety of contents such as referential and emotional meanings. The linguistic meanings made available to the Turkish listener in the cultural transfer of French songs to Turkish in 1968-1969 contain notions related to love (e.g. impossible love, love-related sadness), time, memories, and nostalgia (e.g. time as passing by, reminiscing, remembering/forgetting), relationships and related behaviors and feelings (e.g. friendship, marriage, infidelity, dependence, separation and reconciliation), morality (e.g. ethics, doing the right thing), and attitudes towards life (e.g. having fun, having a good time, forgetting about worries). According to sociologist Tia DeNora (2011:313), language scaffolds both cognition and emotion, in the sense that words can engender understanding and feelings. Along with music, words can shape experiences and emotions: “by labelling […] feelings, language makes them conventional and publicly available, and thus [contributing] to their uptake within populations”. The linguistic meanings transferred in Turkish remakes of French songs can label existing emotions and understandings within the individual listener, making certain emotions and concepts identifiable in a community of listeners, which will further lead to their conventionalization. Moreover, linguistic meanings communicated through songs may also stimulate new emotions and understandings in listeners. The linguistic and emotional meanings transferred to Turkey through the distribution of French song remakes can be placed within a larger historical and cultural context of import and translation of Western artefacts in Turkey during the 20th century. Since the beginning of the Turkish Republic in the 1920’s Turkish authorities have promoted import of Western artefacts manifested through, among other things, various translation projects of Western literature and the promotion of new Western fashion codes. 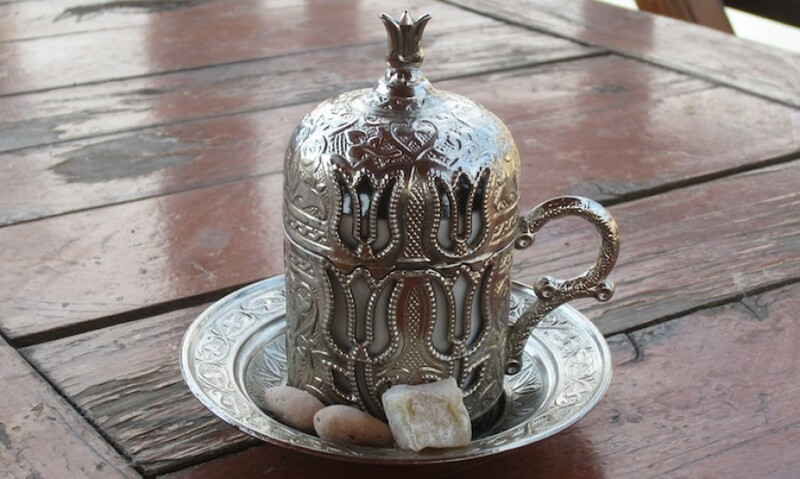 Cultural transfer of Western artefacts has served in a continuous project to mold a new modern Turkish identity. Through import and invention, the semiotic resources available in everyday life have changed and presented new sets of options for the Turkish citizen for understanding and acting in society. The production, distribution and consumption of cultural artefacts such as pop music offer an immense quantity of multimodal texts that are continuously repeated, cross-referenced, copied and remade, and that have the potential to communicate emotional, experiential and linguistic meanings to participants of a culture. The importation and transformation of French songs to Turkish belongs to a time period when French cultural artefacts were deliberately transferred in large quantities to a Turkish culture that adopted the music genre and incorporated it to its own cultural history, along with the conceptual and emotional meanings it came with, partly from Francophone pop music culture, and partly from a hybrid of import and invention by producers and institutions in Turkey. DeNora, Tia (2011), “Practical consciousness and social relation in MusEcological perspective”, in Clarke, David & Eric Clarke (eds), Music and consciousness: Philosophical, psychological, and cultural perspectives, University Press Scholarship Online, Oxford Scholarship Online. Swaminathan, Swathi & E. Glenn Schellenberg (2015), “Current emotion research in music psychology”, in Emotion review, Vol. 7, No. 2, pp. 189-197. The video examples below are of the French song ‘La femme de mon ami’ by Enrico Macias, (1963, Pathé EG 641) which was remade to the Turkish song ‘Arkadaşımın aşkısın’ performed by Nesrin Sipahi (1968, Odeon LA 848). On 22–23 October 2015, an international conference on Uyghur traditional medicine took place in Khotan, a city located along the southern Silk Road and famous for its beautiful carpets and jade stones. 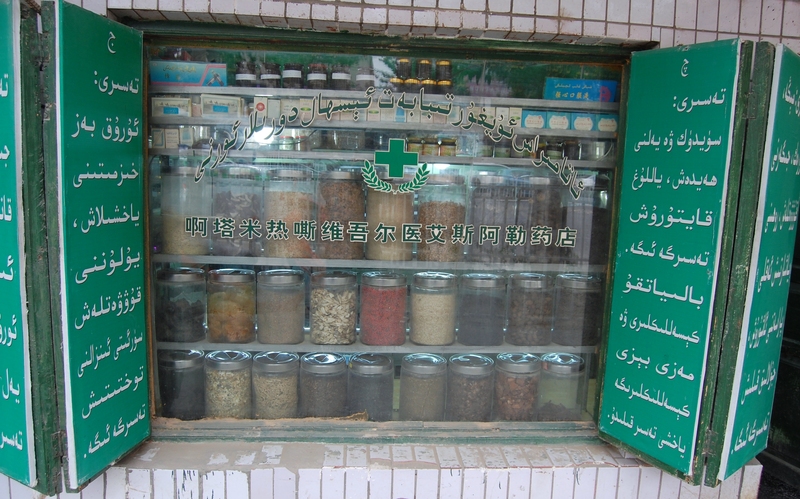 Khotan is also considered to be the center of Uyghur traditional medicine. At the conference, which was organized by College of Xinjiang Uyghur Medicine, scholars from a number of countries were represented. Besides Chinese and Uyghur speakers there were foreign guests from countries including Japan, Turkey, Tajikistan, France and Sweden. There were almost 900 people in the audience. Three papers were presented by Swedish participants: Rune Andersson, Professor in Global Health at the Department of Infectious Diseases at the Sahlgrenska Hospital in Gothenburg, spoke about HIV-prevention and treatment in Xinjiang. Margareta Höök-Wennfors delivered a lecture about the Swedish Mission’s medical activities in Southern Xinjiang during the 1930s. In my own paper I discussed what kind of information on Uyghur medicine can be found in Swedish archives. Special focus was given to two Swedish missionaries who worked in the area in the late 1800s and early 1900s, L. E. Högberg (1858–1924) and Magnus Bäcklund (1866–1903). In Stockholm there is a collection of Kashgarian (Uyghur) medicine compiled by missionary L .E. Högberg in 1907 and stored at the Museum of Ethnography. It contains a list of more than 125 types of medicine and a detailed description of various drugs – their names, proprieties and how they were used. This list has been translated and edited for publication. 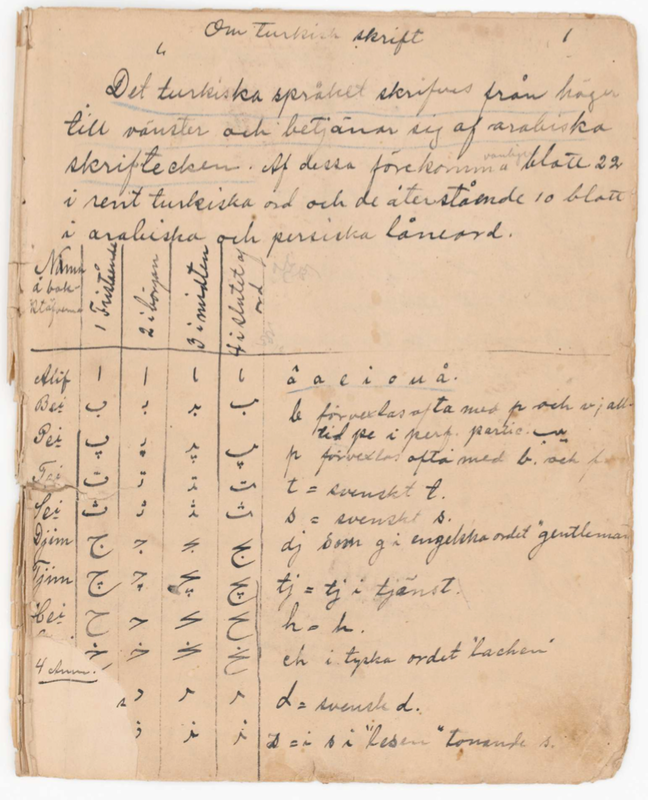 Within the framework of an ongoing SIPCATS project, ”Silk Road Studies in memory of Gunnar Jarring”, I am currently editing a handwritten grammar (Swedish – Eastern Turki) by the missionary Magnus Bäcklund. During my work, I discovered that one chapter deals with medicine. Magnus Bäcklund is reported to have been very gifted with languages. Had he not died prematurely from typhoid fever in 1903, Bäcklund might very well, just as his well-known colleague Gustaf Raquette, have become a prominent linguist. After his death his work fell into oblivion. However, the current project will render his contributions to Uyghur grammar the recognition they deserve. 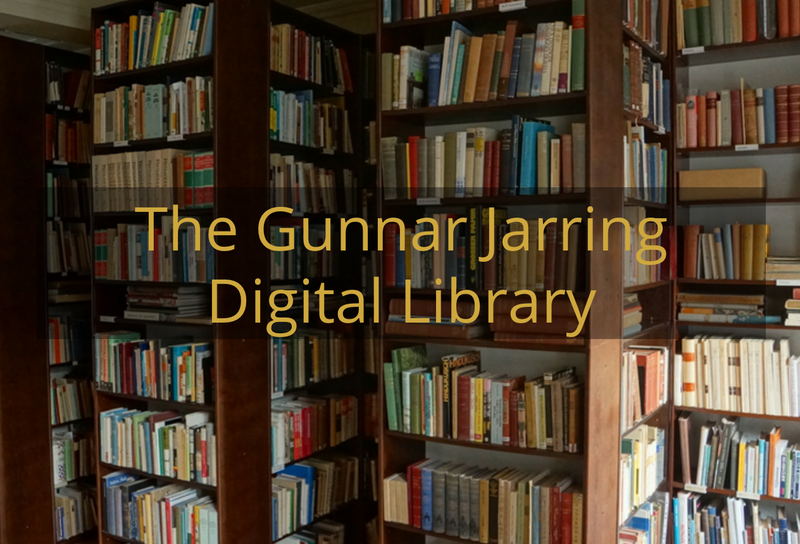 His notes will be published as a book including a facsimile of the original text, translations from Swedish and Eastern Turki into English, notes and a glossary as well as a biography of Magnus Bäcklund. Almost 2 years after the Gezi demonstrations the political meaning and symbolism surrounding Gezi is still an object of interest and study in and outside of Turkey. 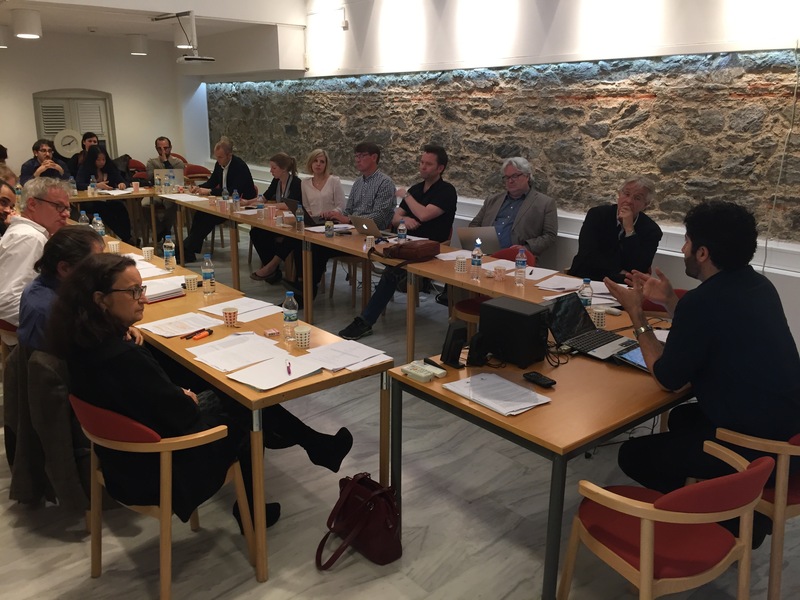 On 4-5 May, 2015, the Nordic network MICS (for studies on Migration, Identity, Communication, and Security) held its third workshop in a series of four. This time the focus was on communication, new media and the 2013 Gezi protests in Istanbul. During the two-day workshop we discussed such issues as: What did Gezi mean? How much did it influence Turkish politics? Was it expected? What is the effect of new media and communication today? And what is the true depth of this type of mass communication and mass mobilization? The workshop participants consisted of experienced researchers and young scholars from a wide range of disciplines. Thanks to the variety of interests and expertise, the Gezi phenomenon was approached from a number of different angles. Many presentations touched upon political strategies and the rhetoric developed by not only the government but also the protestors, the effects of which were polarization and alienation on both sides. The workshop participants looked at the political and historical discourse of Turkey and the region in order to find answers to the question as to how such a large and heterogeneous mass of people could gather and become visible in the quest for one common and diffuse goal and what the significance of the Gezi protests really was. One crucial aspect in this regard was the claim and reclaim on public space online as well as offline. The right to use public space such as streets and the Internet has been considerably limited by the Turkish government since the Gezi protests. See http://www.micsnetwork.org/ for more information about this workshop and other activities within the MICS Network.